No one knows better than independent grocers how a fiercely competitive environment can make the food retail industry challenging for even the best operator. Ensuring rising stars are prepared for the challenges that come along with managing in this new world is one of the most important things we can do to ensure the independent supermarket industry continues thriving. NGA’s Executive Leadership Development Program helps accomplish that mission by preparing leaders to face business challenges in the 21st century marketplace. And luckily, I had the chance to participate in the program firsthand this year. Before attending the program, participants were asked to send anonymous assessment surveys to colleagues to help evaluate their strengths and weaknesses. Through one-on-one coaching, we explored areas where each person excels and opportunities for improvement. It wasn’t just a reflection of my personality though; it helped me better understand the difference between management skills and good leadership. Discouraging creativity or individual responsibility isn’t something anyone aims to do – but it can happen without meaning to. By examining the dangers of group think through an interactive group exercise, I walked away with organizational decision-making strategies that help to avoid similar threats. Despite participants going through the same courses, the faculty and grocery industry leaders overseeing the instructional programming made the experience as personal as possible. Together, we “connected the dots,” so to speak, to create an individual leadership skill development plan that will serve as a guide throughout the rest of my career. This is an exciting and rapidly-changing time for the independent supermarket industry, requiring managers to be capable of leading companies through a wave of difficulties. With the work we’re doing to prepare rising stars for the next set of challenges, there’s no doubt that the independent supermarket industry will remain just as innovative, nimble, and community-driven as it always has. 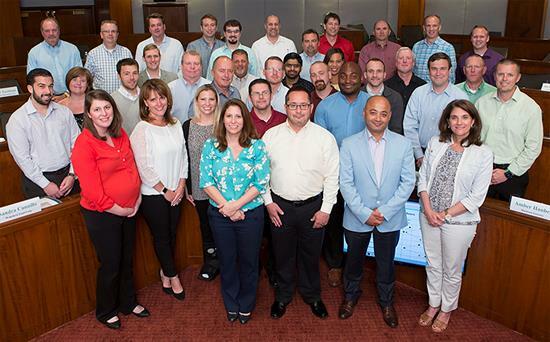 To learn more about NGA’s Executive Leadership Development Program, sponsored by PepsiCo, click HERE.